Cunard, the first company to provide regular transatlantic passenger steamship service, is now the last. 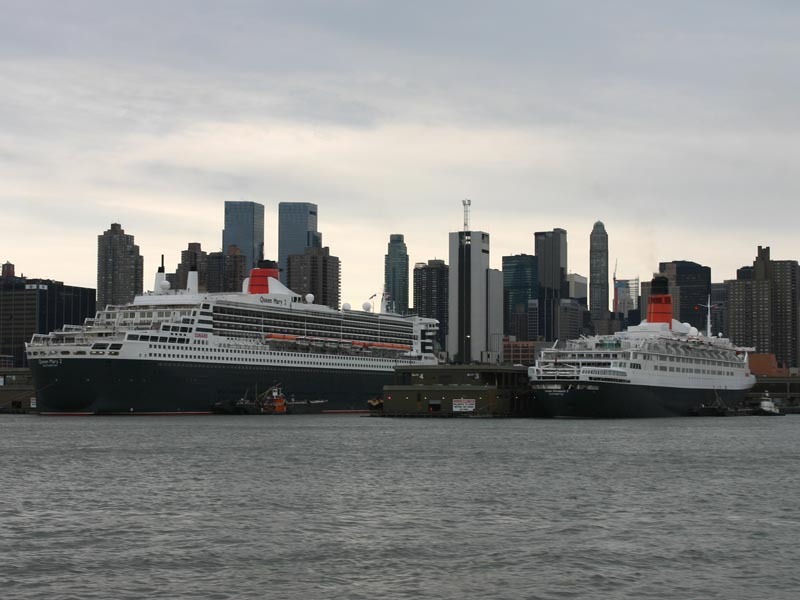 Steeped in 160 years of tradition in transatlantic service by the greatest liners in history, Cunard Line today operates a fleet of three British-flagged liners: Queen Elizabeth 2 (QE2), Caronia, and Queen Mary 2 (QM2). the largest maritime museum in the world, and a huge spa. At over 150,000 tons, she’s the largest ship afloat and is propelled by the world’s first four-pod propulsion system, utilizing two fixed and two rotating propulsion pods that enable her to cruise at nearly 30 knots. Construction cost is estimated in excess of $750 million. Carnival Corporation purchased Cunard Line in 1998 and spent millions updating the look of both QE2 and Caronia. The line’s expansion plans include the recent addition of QM2 and the construction of a new 1,968-passenger ship, Queen Victoria, due in 2005. 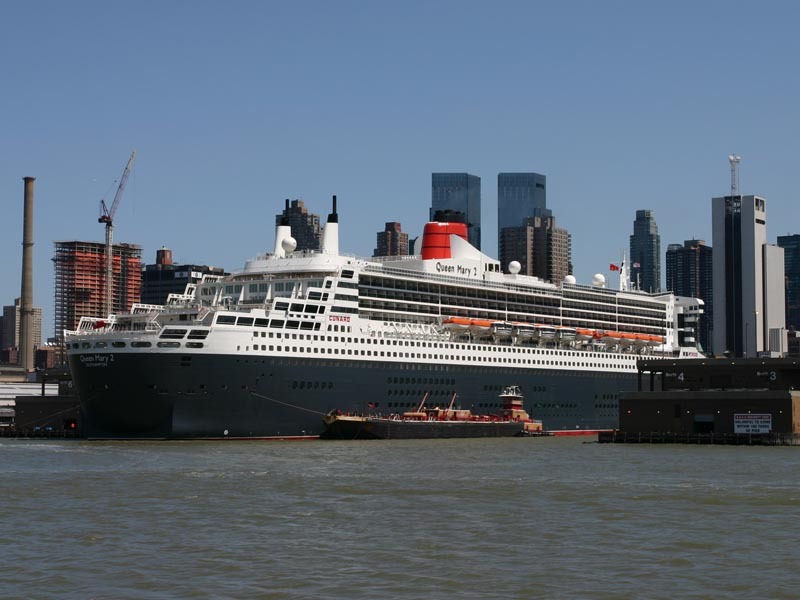 Cunard Line recently began to market Caronia exclusively to a British market. The ship now focuses on voyages out of the UK and throughout Europe, from the Norwegian fjords to the Mediterranean. 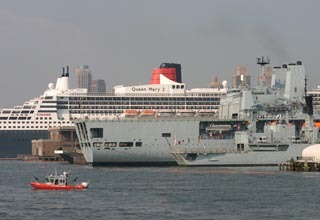 Queen Elizabeth 2 at New York Cruise Terminal on 9 January 2006. 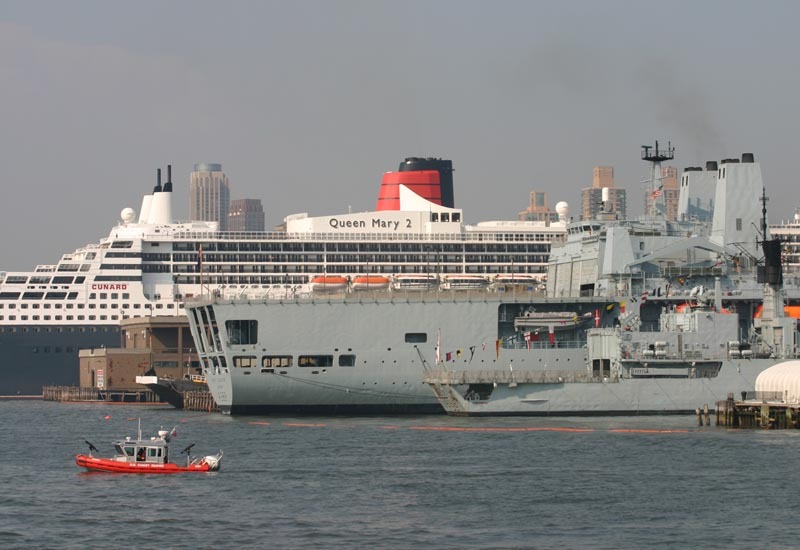 The next time QE2 returns to New York – on 19 September 2006 – it will be berthed at Red Hook Cruise Terminal in Brooklyn. 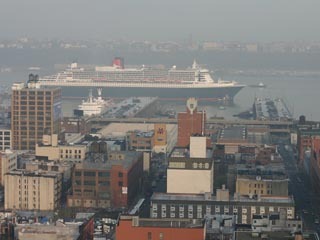 The Queen Mary 2 (QM2) and Royal Fleet Auxiliary Fort George (A388) berthed in New York. 5 July 2004. 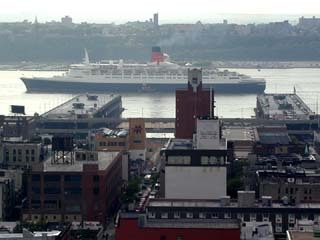 The Queen Mary 2 (QM2) berthed at Pier 92 in New York City, 24 April 2004. 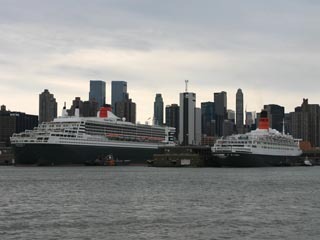 The Queen Mary 2 (QM2) and the Queen Elizabeth 2 (QE2) in New York City, 25 April 2004. 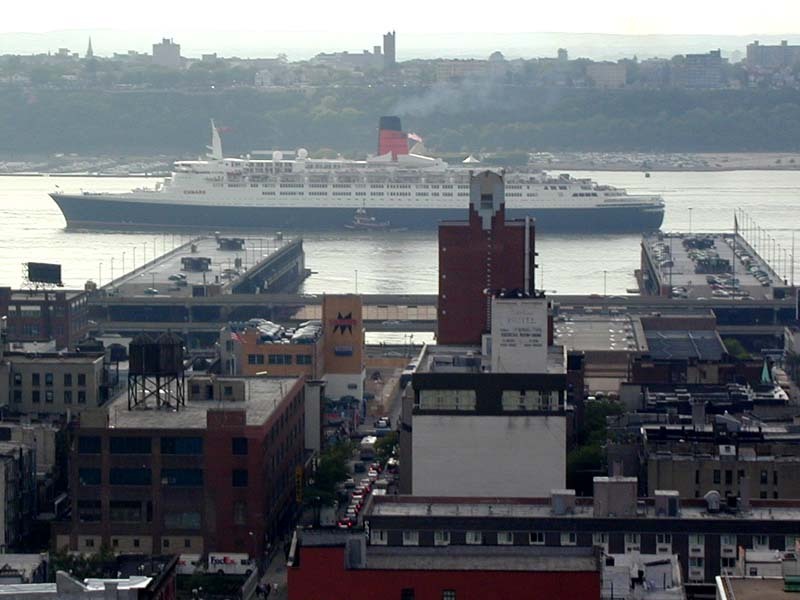 Queen Elizabeth 2 leaves the port of New York. 19 May 2001.